How to set up expense approvers? To streamline the approval flow and add your expenses approvers, head to Settings > Expenses > General. 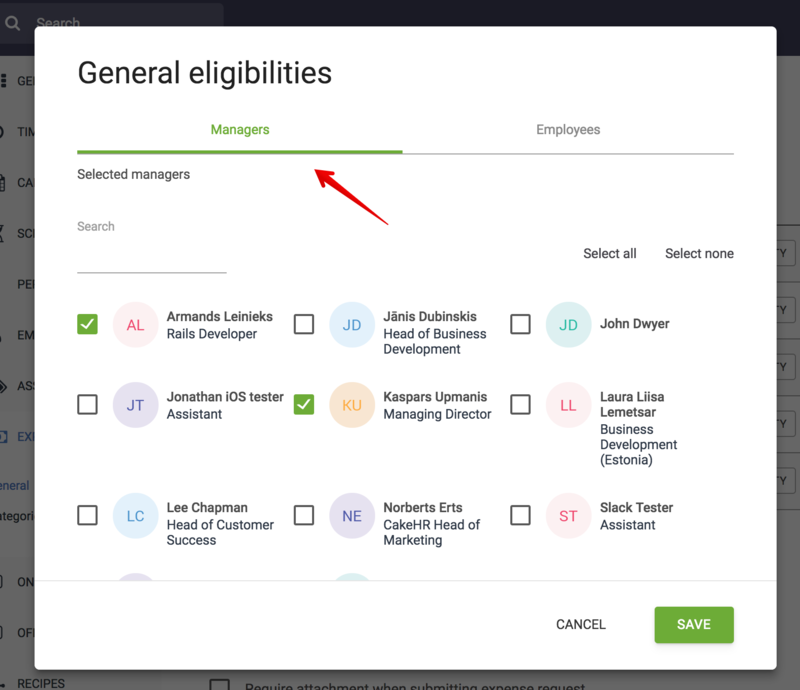 Use the Eligibilities for each group to define the Manager of the group. You can have more than one manager for each group. Each group manager receives the expenses requests from employees within that group.